This remarkable volume of stories from the author of Hostage to Fortune has been produced over a lifetime of writing. 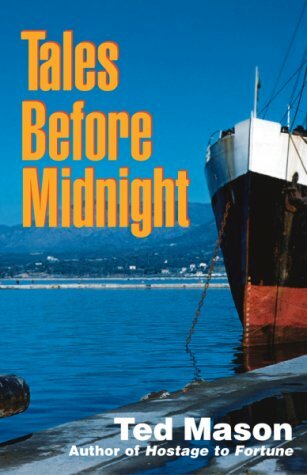 Tales before Midnight explores a wide range of human emotion and events, from a city terrorized by a wild beast to the amusing spectacle of a gang of tree climbers just trying to stay of trouble. There�s the wealthy merchant and his teen-age bride, the Malagasy totocaf in Beethoven�s Vienna and the mysterious stowaway who witnesses the guilty deeds of his fellow voyagers-or does he? A young and imaginative writer gets an early lesson in prejudice and censorship. A columnist tries to blackmail a crusading senator, a doctor once convicted of euthanasia is asked years later to commit the same act again, and a forgotten French town is liberated by a deserter and experiences close calls in a satirical retrospective of Cold War Europe. Tales before Midnight rewrites the old adage that �truth is stranger than fiction.� Certainly in these stories, fiction is often truer than truth. Order Now through our online, secure server for $12.95. Please add $3.00 shipping and handling for the first book, $0.50 for each additional book (Maryland residents add 5% sales tax).For bulk orders, please call us at 800-953-9929.